Space Lens module (Beta) - Build your storage map and reveal the biggest space wasters for quick tidying up. Switchable Beta features - You can now try upcoming features right in the live version. Enable or disable them in Preferences. CleanMyMac 3.0 b3 – Delete files that waste your disk space. 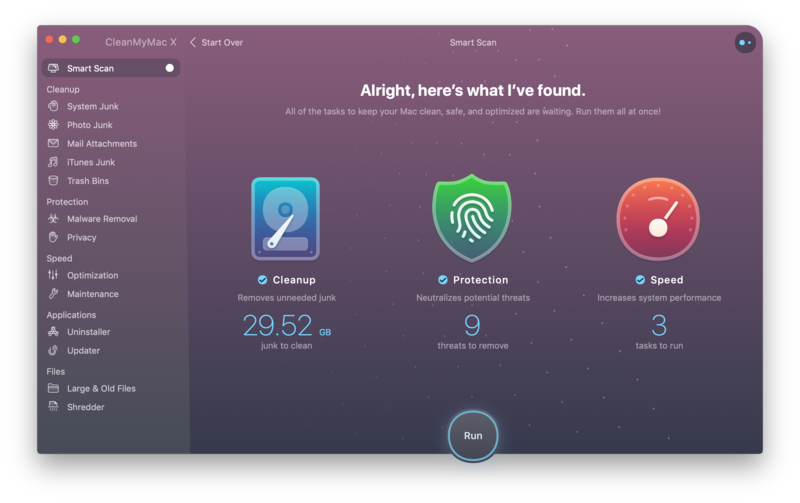 CleanMyMac 2.0.6 – Delete files that waste your disk space. Mojave, please use CleanMyMac X 4.1.0. Webmaster, why do you keep posting Apps that don’t work? Isn’t it waste of your time and bandwidth on your side? Mojave has added a new security model.need disabling SIP. Or you can continue to use CleanMyMac X 4.1.0.
tip about manually resigning the app! This should work also for other “non-working” apps in Mojave! The first line of code adds to the “excluded list” of Apple’s own Gatekeeper the app (in this case CleanMyMac) so it can run even if not signed and/or from unknown developers (because it’s a cracked one). The second line of code re-signs the app to individually work on each Mac. It is worked. But it continuous asks password after the scan. This item was cleaned partially. “/Library/Caches/com.apple.iconservices.store” couldn’t be removed due to lack of permissions. “/Users/vkodryan/Library/Caches/com.apple.safaridavclient” couldn’t be removed due to lack of permissions. ya doesn’t work for me. Constantly keeps asking for the password when performing system clean. thanks anyway. 4.3.0 works but why does UI is semi blur? Am I the only one encountering this issue? The whole interface is a little blur. Any thoughts? ok mostly working now. remove absolutely all traces of app, quit all cleanmymac processes in activity monitor, restart. then install trial etc. still get small number of excluded items as noted above. 2) Run the free trial. 4) Close the app and replace it with the TNT version. You might want to disconnect your internet connection just to be sure. It worked for me following those steps. However, downloading the free trial might not be necessary after all (haven’t tried that), instead directly download the TNT version and execute the commands.